Why is our church involved? St. Barnabas Church made a decision to extend our community reach and become more involved with the elderly who live in, or are connected with the Crosland Moor Community. Why do this? Because we model ourselves with Christ when we, like him identify with the pain and struggles of our community. Our church has a Christian duty to serve its local community. And the best way to do this is to be involved with projects we don't own and don't control. This is because our church is much smaller in numbers than twenty years ago and our congregation is much older and less able to be fully involved in community projects. WE NEED TO INVITE OTHERS TO WORK WITH US! Aspire is a local community project who work with the elderly in the Huddersfield area. We were impressed with their work, but we needed to find the funding to bring Aspire into the Crosland Moor community. St. Barnabas Church wrote a bid to the National Lottery and we were successful in being awarded £10,000 so that we could commission Aspire to work in Crosland Moor. In January 2019, with the help from the lottery fund acquired by our church, Aspire began their work with the elderly in the community room at Sandy Mount Extra Care Home. 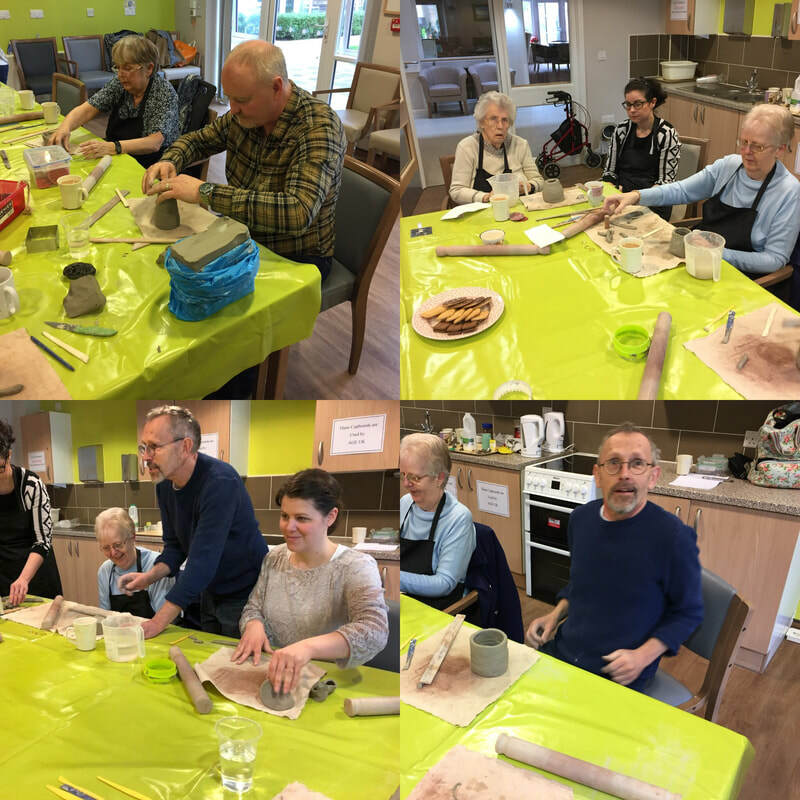 The project is aimed at both the elderly residents who live at Sandy Mount, and those elderly residents who live in the community of Crosland Moor. St. Barnabas Church, along with Aspire are also in touch with Tracy Heaney, who is employed by Community Plus, a Kirklees organisation that works with vulnerable and isolated local people who lived in Crosland Moor. Tracy is now working with Aspire to identify elderly local people who would benefit from being involved in the Aspire project. This is our faith in action. St. Barnabas Church involved in community cohesion to benefit the elderly in need of friendship and social interaction to counteract isolation and loneliness. St Barnabas Church using the influence we have been given by God to serve our community.